Dr. Randall Leraaen, D.C., or “Dr. 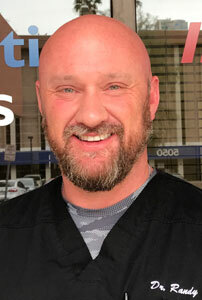 Randy” as he is known to his patients, developed a love and passion for chiropractic care while in college at the University of Iowa. The whole staff here is great, I was not disappointed by any part of the experience. I am glad to have found a chiropractor I can turn to for great treatment. I was experiencing whiplash following a minor accident and came here for a massage. After a month of treatment, I was in great health and never experienced any pain or discomfort. Dr. Randy took care of me very well and the rest of the staff were amazing too. I enjoy a stress-free life thanks to them! for people experiencing neck and back pain due to an auto accident.